So could I sell this photo to the corporate motivational world? I headed out to a place about 5mins from me that has stacks of grasstrees and after realising I probably got there a little too late in the date, I managed to spot this little one still glowing from the afternoon sun so I thought why not give it a try. I’m really pleased with this as its the only grasstree in amongst all the other trees. I will be going back here in the very near future as there are some aboslutely awesome groups of grasstrees. Because I haven’t worked out how to put tabs across the top of my page I’ve posted a happy snap pic here its just a fun shot. 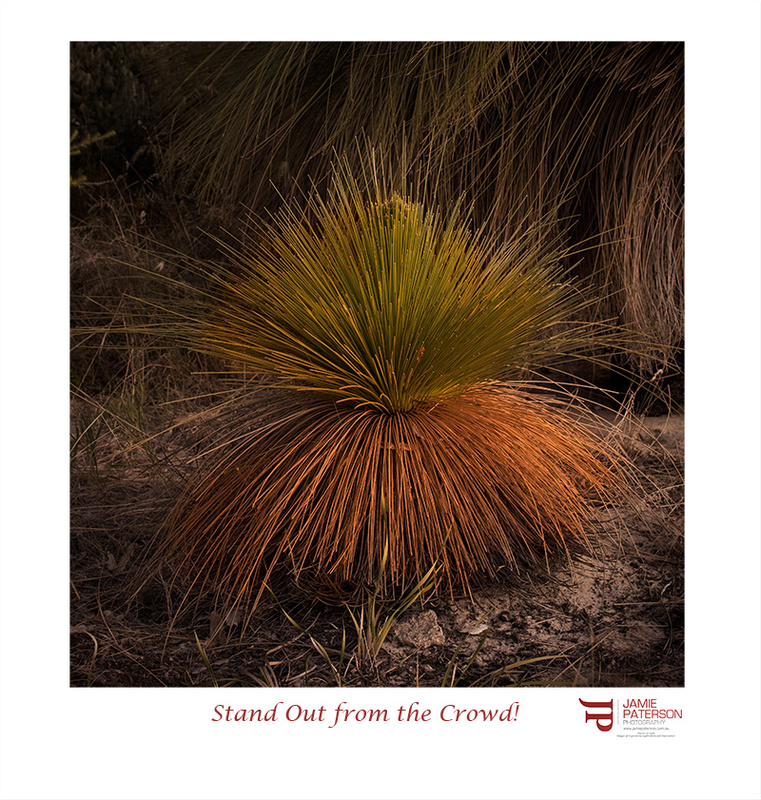 This entry was posted in Australian Landscapes and tagged australia, bush, canon, desert, glowing, grasstree, Jamie Paterson, landscape, long exposure, outback, perth, photo, photography, sunset, tree, western australia. It has a very nice glow! I would darken the area around the grasstree to make the grasstree stand out more. Good spot. I’ll darken that at little before I go to be and repost it. I really like this shot mate. 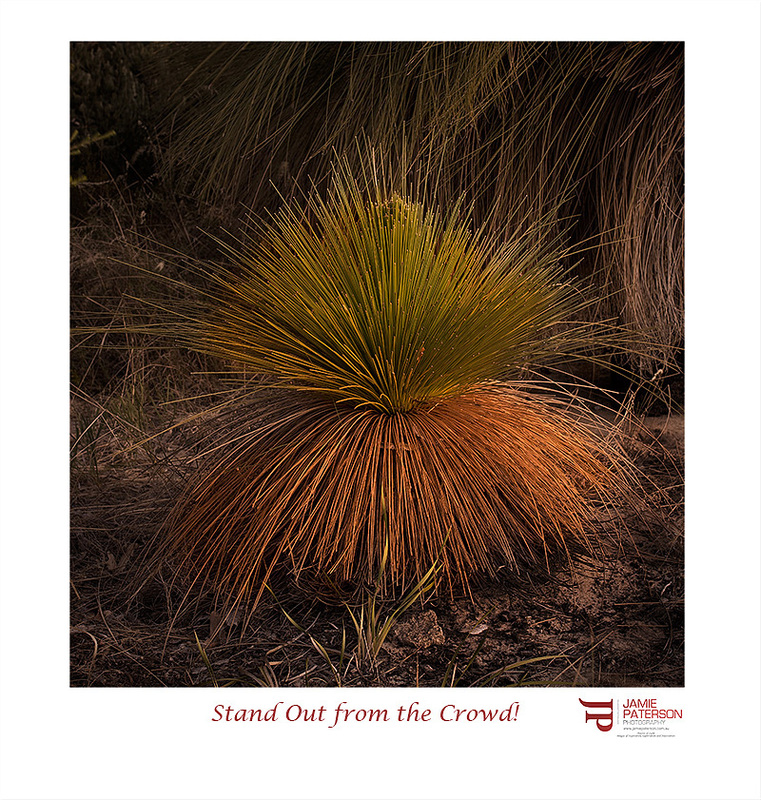 FWIW its a Mimidi, the shortest of the 4 distinct grass tree species. When the flower spike matures it produces the sweetest nectar you have ever tasted…if you come across one in flower, try it, its awesome! Hahaha…I have been called far worse mate!!! Yep, 4 different types, the small (as you photographed) and the common large type, called Balga, plus 2 lesser known species..all have an edible quality. The Balga has supurb edible bases to the inner green leaves…again, try it some time! This shot really shines when viewed at 100%, great work Jamie. You are coming through with some rippers.